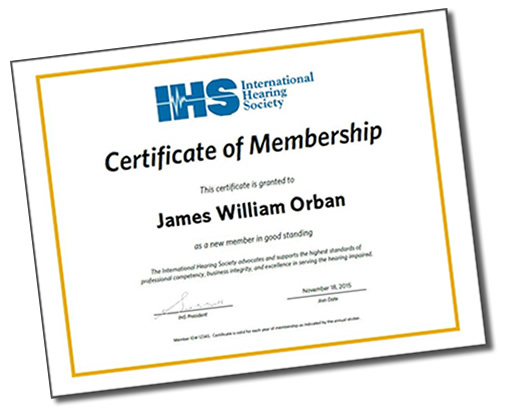 For licensed IHS members only. 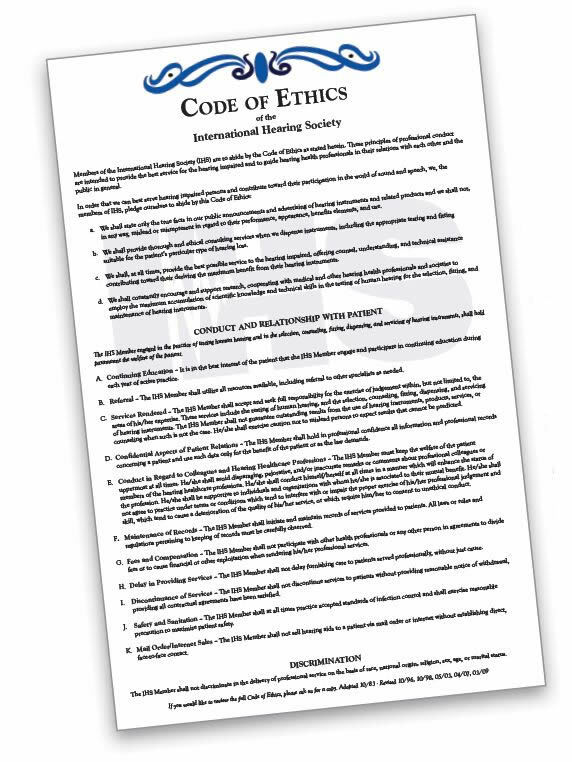 The IHS Code of Ethics and IHS Premium Wall Certificates are the perfect pieces to display in your office and show your patients that you not only say you take your profession and their care seriously, but you also maintain the highest standards of technical competence. These pieces truly elevate you as a hearing healthcare professional and set you apart from others. Certificates are printed on quality heavy linen stock. Framing is not included. Custom fonts are not available.